I know the management practices we use here in Texas may not work in other areas of the country. However, I do know that restricting vehicle movement and hunter movement on any property will increase deer sightings. I’m also convinced that letting the land you hunt rest more days than the days you hunt will increase deer sightings. I also know that your land can carry more bucks, if you have an overpopulation of does and remove those surplus does. Too, if you have antler restrictions on the property you hunt, you drastically can increase the number of older-age-class bucks harvested on your property. So, although you don’t live in Texas, you still may be able to use some of the management practices on the property you hunt that we use to increase buck sightings and to harvest older-age-class bucks. These management tactics have proven to be very effective on the properties we hunt, and they insure that our hunters see a good number of bucks on every hunt, and that our property remains a sanctuary for older-age-class bucks. As I’ve explained earlier, using this management system, we’ll take several bucks each season that will score 150 to 160 on Boone & Crockett. The biggest bucks our neighbors are taking only score about 130 to 135. Another advantage our hunters have when they bring their video cameras and photograph all the bucks they see is that most of our hunters don’t live in Texas. They’re from out-of-state as far west as California and as far east as New York and Florida. So, when they go home and tell their buddies that they’ve seen 40 bucks in one day of hunting, most often they’ll be branded as a liar or a teller of tall tales. However, when they show the video evidence to back up their claims, and their hunting buddies are able to see all the bucks our hunters have seen, then, they’ve established the truth of the fact that they did see 40 bucks in one day. 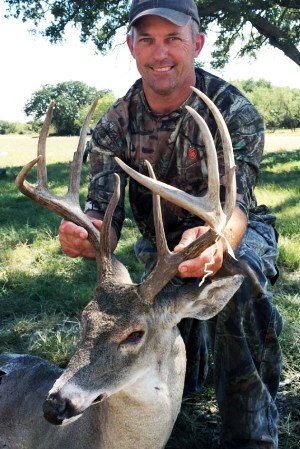 We have one hunter named Bryan Schertz who owns On Target Archery in Canton, Texas. He’s been hunting with us about 8 years or more. I think he has only taken two bucks as long as he’s been hunting with us, but he spends most of his time in the blind videoing all the deer and wildlife that he sees while he’s hunting. When he goes back to his archery shop, he puts that video on the TV in his shop. He shows Heart of Texas Bowhunting videos over and over again each day in his shop. Because he’s got so many videos, he can run a different video every day for several weeks to let his customers see all the bucks that he’s seen. Bryan sometimes had rather video bucks to show to his customers than to harvest a buck. He really has a good time with his video camera. Our customers tell us that having the ability to take a video of lots of bucks every hunt is an added bonus they get from hunting with us. You can pull up Heart of Texas Bowhunting on YouTube and probably see 15 or more videos from different people who have hunted with us and videoed our bucks. Another reason that we consider our property a sanctuary for older-age-class bucks is we only hunt our property 3 days a week. The other 4 days there’s no vehicle or human traffic on our land, while our neighboring properties are often hunting every day of the week. I’ve learned that if you’re going to create a sanctuary for older-age-class bucks, you have to let your land rest more days than you hunt it. Because of our management system, we have over 90 percent re-bookings each year. I don’t start taking bookings to hunt with us until the day after deer season closes in Texas. On January the 5th at 8:00 in the morning, I start answering the phone and taking bookings for the following year. By using this system, we give everyone who wants to hunt here an equal opportunity to come hunt with us. We take reservations on a first-come, first-serve basis. 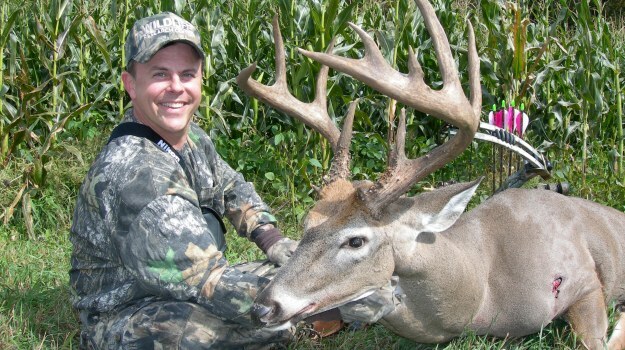 This way, a first-time hunter has the same opportunity to book a hunt during the peak of the rut as the hunters that have been hunting with us for many years, if he calls on the first day we open our books, and he’s one of the first calls I answer. We enjoy hunting hunters from all over the country. What Time of Year is the Best to List? From hunting to holidays, the seasons affect every part of our lives, and selling land is no different. 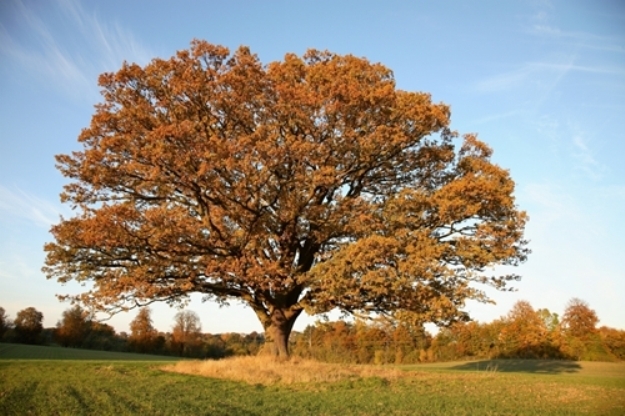 However, the question for land owners remains: What time of year is best to list? It's a good idea to keep the time of year in mind when gearing up to list. However, don't forget to think about other factors in play, from the state of the current economy to how well maintained your land is. Have you wondered if deer decoys would work for you or have you tried a decoy with bad results? You can make decoys work for you. I have been decoying whitetail for over 20 years and under the right circumstance it is very effective and makes for a very memorable hunt.